Extra 5% cashback (Upto Rs 500/-) on Rs. 5000 & above purchase made with HDFC Bank Debit Card. Offer valid till 31st March 2017. Watch your favorite movies and TV shows in rich detail and stunning audio quality on the Noble 81 cm (32) LED TV. The HD ready resolution makes images come to life. The 81 cm (32) LED TV, with an HD ready resolution of 1366 x 768, makes watching movies a treat for the eyes. 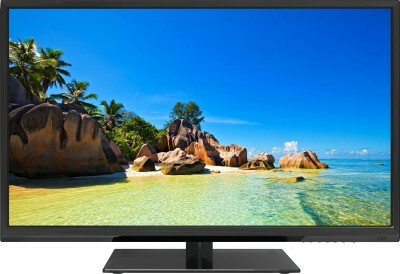 Watch your favorite shows in natural and vivid colors. The sleek and stylish design of this TV make it a great addition to your living room. The slim bezel and solid base further add to its aesthetic appeal. This TV comes with Surround Sound, inbuilt amplifier, and 5X volume for an impressive movie watching experience. The two integrated 12-Watt speakers offer superior audio quality. Watch a movie or view videos from your smartphone, tablet, or laptop when you connect these devices to this TV via Bluetooth. This TV comes with a USB 2.0 slot, two HDMI slots, two AV inputs, a VGA input, and an AV output. Connect a pen drive, an external hard disk, or a DVD player and enjoy watching movies as you relax over the weekend. 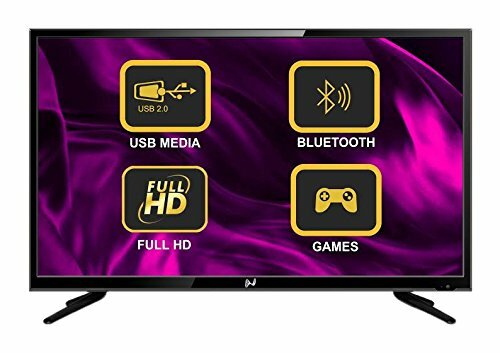 Play games, watch movies, and even browse through photos on the big screen when you connect your smartphone or tablet to this TV via an MHL cable. Viewing content directly from your devices has never been simpler. The Eco-Smart feature automatically turns the TV off when not being viewed. The TV also allows you to adjust the backlight according to your viewing convenience, helping you save energy.